Green Card Stories gave actual examples of immigration law in practice at the Hofstra University Law School Immigration Law Teachers Workshop on June 1, 2012. 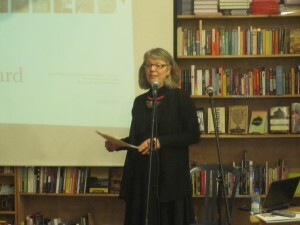 Stehen Yale-Loehr was on a panel at Buffalo Street Books in Ithaca, NY on May 4, 2012. WSKG’s Off the Page recorded a live interview that covered the immigrant experience and the influence it continues to have on individuals, on American society and life in the Finger Lakes region. 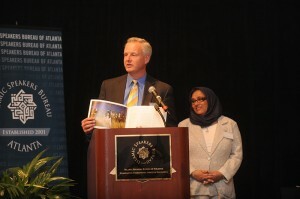 Mr. Yale-Loehr addressed current immigration topics while highlighting some of the stories from Green Card Stories. The panel also included Gail Holst-Warhaft, Poet Laureate of Tompkins County and Editor of Far From Home and Jay Leeming, Editor of the Poetry Magazine Rowboat. The interview is available on WSKG’s website. A celebration and signing for the release of Green Card Stories was held at the Hangar Theatre in Ithaca, NY on April 4, 2012. The panel was moderated by Stephen Yale-Loehr and included Sue Chaffee, head of Immigrant Services Program at Ithaca’s Catholic Charities, Alessio Balada, business owner, green card holder, individual featured in Green Card Stories and Dr. Srisatish Devapatla, Neonatal Medicine, Cayuga Medical Center, green card holder. See the video from the event. The DePaul School of Public Service in Chicago, IL hosted a discussion on the human face of the U.S. immigration debate on April 3, 2012. The panel included Laura Danielson, Greg Wangerin, Executive Director of Refugee One, Ala’a Southworth, green card holder, individual geatured in Green Card Stories and Scott Southworth, gather of Ala’a, National Guard Captain, district attorney. It was moderated by DePaul School of Public Service graduate students and alumni, Peter D. Joseph, Courtney Rowe, and Matthew Soerens. 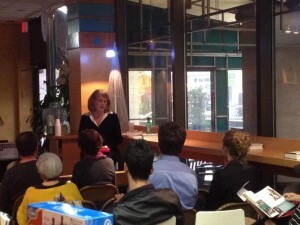 On March 27, 2012, Laura Danielson presented Green Card Stories to an engaged audience at Reiter’s Books in Washingon, DC. 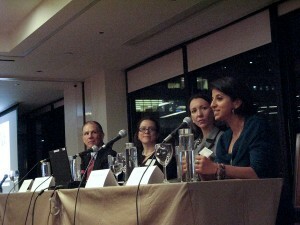 The law firm of Mintz Levin in Boston, MA held a panel discussion to celebrate the launch of Green Card Stories on March 16, 2012. Douglas Hauer, the section manager of the immigration department at the law firm moderated the panel. He was joined by his associate, Marisa Howe; Green Card Stories collaborator, Stephen Yale-Loehr; and Brandeis University student Henok Mehari, who came to the U.S. after civil war broke out in his home country of Ethiopia. Author Saundra Amrhein spoke at many events in her home state of Florida. Saundra was invited to speak at two USCIS Naturalization Ceremonies in Tampa, FL on February 15, 2012. These ceremonies signify the end of many long waits and struggles to become U.S. citizens. On February 16, the University of Miami School of Law held a conversation about the face of immigration and reform in 2012. The panel was moderated by University of Miami School of Law professor Kunal Parker and included Saundra, University of Miami School of Law professor Irwin Stotzky, immigration law partner at Kurzban, Kurzban, Weinger, Tetzeli, and Pratt P.A., John Pratt and Tomas Castellanos, an individual featured in Green Card Stories. Read the article in the Miami Hurricane covering the event. The American Immigration Lawyers Association South Florida Chapter sponsored a book signing and conversation at Books & Books in Coral Gables, FL on February 18. Saundra and Tomas Castellanos led an insightful discussion. The University of South Florida in Tampa, FL hosted a discussion on immigration and the controversies swirling around it on February 23. The panel included Saundra, USF Assistant Professor Angela Stuesse, attorney John Ovink and Hillsborough Counselor Association High School Principal of the Year and individual featured in Green Card Stories, Cleto Chazares. It was hosted by USF Institute for the Study of Latin America and the Caribbean (ISLAC), the USF Institute on Black Life, the Migration and Diaspora Research Cluster, the USF Department of Sociology and the book’s publisher, Umbrage. Inkwood Books in Tampa, FL held a discussion and book signing with Saundra on February 23. 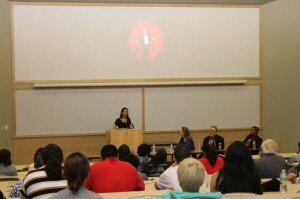 On February 28, Saundra was on a panel at Rollins College near Orlando, FL. The panel was moderated by Rollins College professor Dr. Ilan Alon and included Rollins College history professors Dr. Claire Strom and Dr. Julian Chambliss, political science professor Dr. Julia Maskivker and associate attorney Shanti Chadeesingh of Beshara, P.A. The discussion focused on the historical context of immigration and the current immigration law. 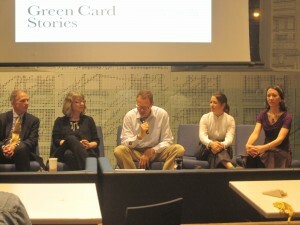 The official launch of the Green Card Stories book was a success, with radio and TV interviews as well as panel discussions at universities, a bookstore and a law firm. Two events were held simultaneously that same evening. One at New York University was held by the Office of International Students and School. 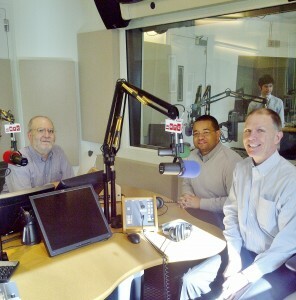 Stephen Yale-Loehr and Randolph Sealey were joined by author Saundra Amrhein. Another was at Bluestockings Bookstore where collaborator Laura Danielson and photographer Ariana Lindquist presented the book and answered many questions regarding the current immigration law. On Tuesday, January 31, the entire Green Card Stories team including photographer Ariana Lindquist, author Saundra Amrhein and immigration lawyers and scholars Laura Danielson and Stephen Yale-Leohr met in the publisher’s office for a television interview with the Iranian version of Voice of America. That evening, Columbia University Graduate School of Journalism hosted a panel discussion with all four collaborators, which was moderated by associate professor Howard French. 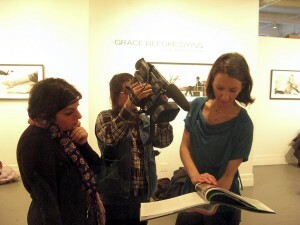 The conversation focused on the process of producing the book and the timeliness of the topic in the media. 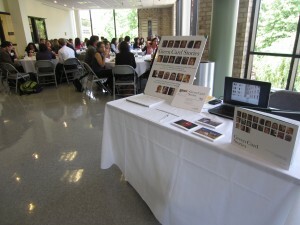 The final event of the launch was hosted by Cleary Gottlieb and co-sponsored by Fragomen. The panel discussion featured Stephen Yale-Loehr; Saundra Amrhein; Lisa Koenig, Fragomen partner and pro bono director of the New York office; and special guest Farah Bala, actress, green card holder, and individual featured in the book. The panel was moderated by Alida Lasker, Cleary Gottlieb associate and co-coordinator of their pro bono immigration practice. Green Card Stories was very well received at the screening of Tony and Janina’s American Wedding in Minneapolis on November 10, hosted by the Immigrant Law Center of Minnesota. We are proud to partner with the filmmaker, Ruth Leitman, to share this tragic story of a family being torn apart by immigration. People from all backgrounds shared with Laura Danielson how they’ve been deeply impacted by immigration: from friends and family of deported individuals, to couples separated due to visa requirements, to religious workers who assist refugees. These personal experiences reinforce the need to spread the word and emphasize how immigration impacts U.S. citizens. A foundation of the Immigrant Law Center of Minnesota agreed to match any sales of the Green Card Stories book sold at this event.